I have been thinking about digital-izing (is that a word?) all of my family’s media for a while. I did a small box of videos and made them into DVDs and put them up on a private family YouTube account. This past weekend I spent some time scanning photo albums for my Fiancé and myself. It was fun seeing ourselves as a child. I miss those days when life seemed to be all fun and games. 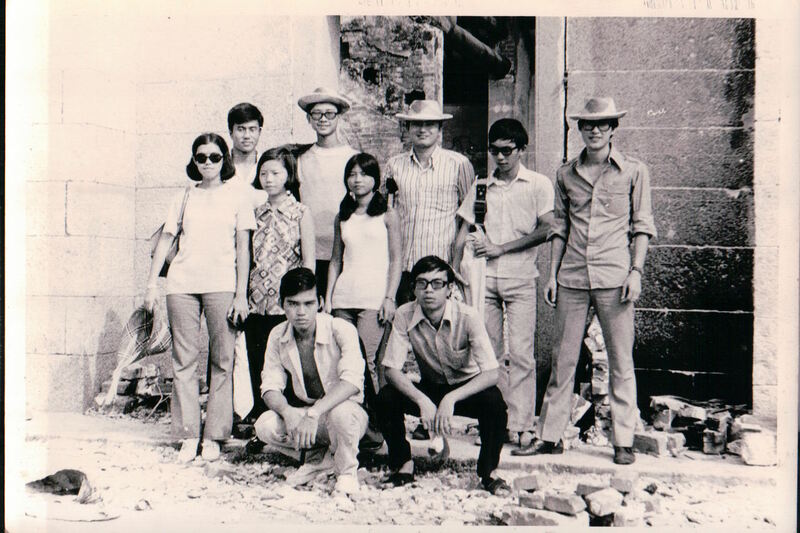 I have no idea how my father made it all work being the only working person in the family. My view on life & religion changed dramatically after my father died. I was raised by a Catholic mother and Buddhist father. They respected each other’s beliefs and I did whatever they asked, I went to church and I also went to temples, but I never believed in the deity itself, just the lessons they teach. When my father died I wished there was a God so I can hate and blame someone or something for it. Title seems like I’m saying Steve Jobs IS my father. but no. My father will ALWAYS be more important to me. I knew the day was coming, never thought it would be this soon. 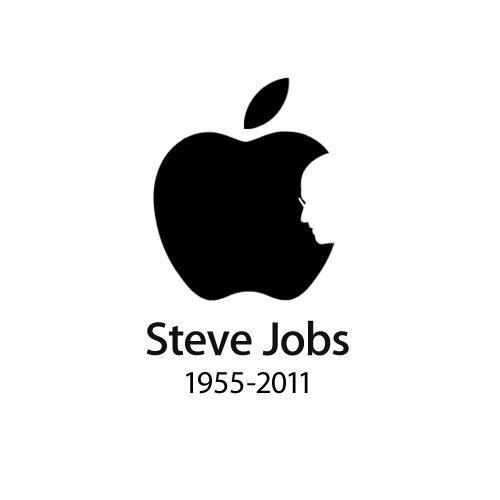 The death of Steve Jobs on October 5, 2011 made me tear up not only because I’m a fan of Apple Products (I’m not a fan boy! I have around 16 computers in two residence, only six are Macs two if which are too old to use, I would not be able to do my job without a PC) but because my father passed way years ago at the age of 55 of cancer also. Every time I saw Steve in the media I would tear up a little because he looked like he was deteriorating exactly as my father did. As shown in this picture below he looked like he was wasting away in front of the world. My father had lung cancer but had never smoked a day in his life. The doctor told him it might have been caused by the lead that is in solder (which he can’t get away from being an electrical & mechanical engineer). They removed the tumor, treated him with chemotherapy and radiation therapy, I was driving back and forth daily because my mother is too weak and physically handicapped to care for him those were really hard times and I was contemplating of quitting college, but instead I just took on a really light class load for about two years. The doctors gave him a clean bill of health and we were all happy. He got really thin as the years went by, but no cancer was detected until 4 years later. At this point tumors were showing up on film in his brain, liver, pancreas and lungs, he lost the battle about a year later. Cancer is a horrible disease, I really hope there will one day be a cure for these death sentences. I’ll probably die from cancer and so will many of you. It is a slow, painful and annoying death. All the treatments they can offer with either help or prolong the agony. If I had a choice I rather be doing whatever and just be shot in the back of the head, it’s messy but it would be quick. I do not fear death, I fear pain. 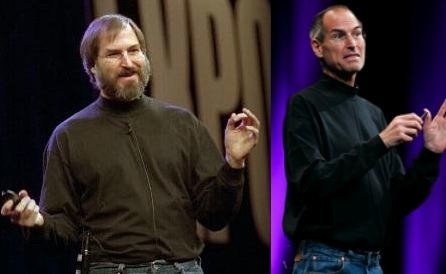 For those who thinks Steve Jobs was a great innovator I have to agree with you, but he did not invent from the ground up, he took other’s failures, and improved upon them. A popular saying is that “Microsoft will get it right the third time, Apple gets it right the first time” the fact is, Apple sat and waited for Microsoft to screw up and learned from them before coming out with their own. I had plenty of Windows Mobile phones and HandSpring/Palm Treos before the iPhone. Those phones worked great, but the VISION of Steve Jobs put doubt in my mind as to how much better and easier it would’ve/should’ve been. The iPad is not the original tablet, years prior to their debut there were plenty of Windows based tablets, there were slates and convertibles and even some sliders. I’m STILL using my HP TC1100, in my opinion and limited budget, it is still the best device for 3D CAD use. The iPad has it’s limitations but it also can have a place in our everyday lives, this is what Steve Jobs was able to see. I say “vision” because Steve Jobs didn’t actually make the products, he’s only the conductor. It is sad that we don’t know the team of people who actually had to work long hours to make all these products possible, those who took Steve’s ideas and vision into a physical form. To you Bill Gates and Microsoft lovers, do you remember DOS? If it wasn’t for Steve Job’s vision of a easy friendly user interface (GUI) there is a possibility that we would still be using a variation of DOS. Fonts? I can’t believe that was Jobs’ idea, we take it for granted because it’s been there this whole time. I’ve seen old news papers and ads and knew fonts existed prior to personal computers, I just didn’t think consumers were unable to change it on their computers at one point. To all the people behind ALL the great products we use today, Thank You for making our lives easier and fancier. I hope we will one day have a leader like Steve Jobs. He will be missed. 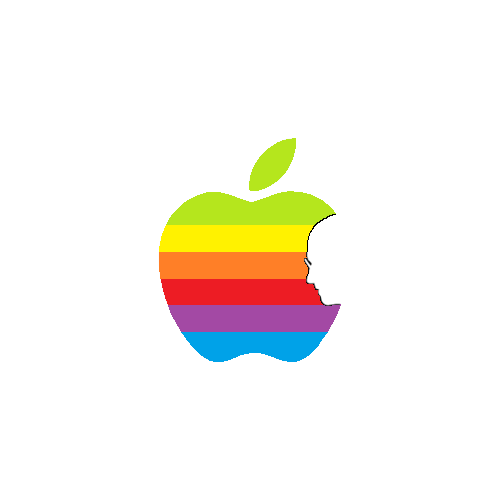 I redid this awesome icon in the CLASSIC Color Apple rainbow icon with Steve Jobs’ silhouette a few different ways. Can’t believe Jonathank Mak made this prior (August 2011) to Jobs’ death! He made it after Jobs announced his resignation from his position as CEO. 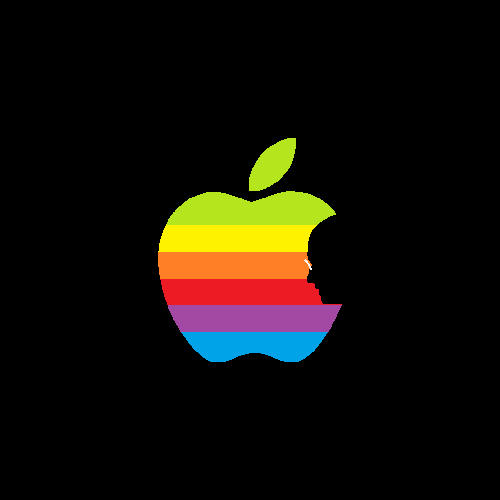 It would be cool if Apple used this icon as a memorial. I’ve been quiet for a while since I tend to “Mico-blog” via Twitter and I vent all my frustrations and ideas through that these days. I do keep a little .txt file with ideas on what to write and complain about but just haven’t gotten around to actually typing them out yet. But this post made by Natali Morris née Del Conte made me crawl out from blogging hibernation. If you don’t want to hear me rant or offend you, go directly to this post: http://dadblast.com/?p=524 and read what she wrote that makes me know she will be a great mother and should be an example to all parents. I think everyone needs to realize that you CANNOT think and be the same person you were once you are a parent. It would be wrong and irresponsible. As anyone who knows me personally or has ever read a few of my blog posts or tweets know, I’m very much a “Debbie-Downer”, I’m known to find the bad in everything, and hate on things that doesn’t necessarily even matter to most poeple. Yes, I say I do not like children. I say this not because I hate kid, I actually don’t, There’s nothing cuter than a child’s innocent smile. I taught swimming for 13 years and enjoyed that feeling when one of my kids finally gets it and improves dramatically because of something I taught them. At times I actually want to have two of my own (not that my fiancé would say yes to that). I just don’t like people’s reasons for having children and many of these parents have no parenting skills and are not willing to learn them. For all those children I cringe at, it’s not your fault I label you as the a-hole child that just won’t shut up, it’s your parents’ fault because they think your crying is “cute” or that running freely around a restaurant is a safe thing for a child to do. Or you as a 12 year old child is allowed to call me an a-hole because I didn’t buy your chocolate bar in front of a grocery store. No you effed up father, you should tell your child not to use profanity at that age THEN try to guilt me into giving him a dollar. Natali Morris brings up some very good points in her post regarding her 2011 New Year Contemplations (as opposed to “resolutions”) that I think people who wants to have children should pay attention to. At my current old age of 31, many of my friends, colleagues and acquaintances have had a child or two, some are pregnant or will be in the coming year or so. However many of them are living the same lifestyle they did before the child came along. They head out to happy hour, bars and clubs when they should be at home caring for their children, spending $2,000 on a purse instead of saving up for the kid’s expensive future (college is getting pricier every year), listen to their music loudly and drive….like me (not a good thing) with their child in the car. Sometimes they leave their kids with the grandparents while they head over to Vegas for a few days, other times they take them along to restaurants where they are free to cry and interrupt other people’s meal time conversations. I’ve been to weddings where babies are crying and the parent just sit there as if they weren’t the ones ruining someone’s wedding memories. Here are some of the points Natali made in regards to the way her priorities have or needs to change due to her new job title (mother). Then: Stay on top of your housework. Now: Learn to be okay with being a little behind in housework so that you don’t miss out on quality family time. Then: Finish The Economist every week. Now: Don’t miss story time. Then: Increase deposits to savings account. Now: Increase deposits to baby’s college fund. Now: Keep sodas out of the house. Now: Try to find time for a workout. Then: Keep up with your inbox. Then: Eat more fruits and vegetables. Now: Make sure your family eats more fruits and vegetables. Then: Be a good daughter, sister, friend, and coworker. Now: Be a good wife, mother, and all of the above. Then: Try not to be so selfish with your time. Now: Try to be a little more selfish with your time. I would guide someone who is better than myself 100%. Teach him or her all the mistakes I’ve made, witnessed and avoided. You may say I should just work at a Boy’s & Girl’s Club or be a teacher. I want to be there 100% of the way from their birth ’til my death. Be positive about the decisions they make, unlike my parents who forced me out of what was my passion (Marine Biology). At the same time, I want them to have the guts to say no to me when the time and reason is right. I want them to love life and get everything out of it that I was never able to, yet be civil while doing so. Don’t pursue to be a successful musician if your passion is the fame and fortune. The passion for music needs to be the drive. In the end I want to be able to spoil them unlike what my abusive and controlling parents did to me (this is the bad parenting part) at the same time I want them to truly know the value of a dollar and be humble and appreciative of how lucky we all are to have everything we do. Freedom is not free. Just because we live in a peaceful neighborhood where we worry about stuff like whether there’s traffic or not doesn’t mean that hundreds, thousands of kids out there aren’t still fighting for our freedom. There are too many kids and even adults who just don’t understand that the world doesn’t revolve around you. Please each your children the bigger picture. Like Chris Rock said/joked. Our only job as a parent is to “keep your daughter off the pole” I feel that many parents (not most, not all) are creating douche-bags and whores (sorry for the harsh language). The entertainment industry is not helping with tv programs that are clearly bad…Ed Hardy and Rock Republic on little kids is just the wrong message all around, Let children be children. I’ve said many times that I would love to finally get married after being with my girlfriend for 12 years & 10 months. I don’t want us to be in our thirties saying the words “My girlfriend and I are…”. Over the past 4-5 years many of our friends and family have gotten married some had a child or two. I’m truly happy for MOST of them not because they ARE happy, but because some of them BELIEVE that they are happy. The main reason we’ve not tie the knot after all these years is because we wanted to financially build a foundation for our livelihoods before doing so. Money has been a big problem with me after my father passed away and left me to support my handicapped mother. The reason I look down on some marriages is because some couples gets married and live in their friends/parents/grandparents homes. That’s even worst than renting an apartment in my view. I’m sure some of you will say that I’m “snooty” for thinking this way, but I blame this discrimination on the society we live in. I’ve seen people driving a beat up old Toyota Corolla with three baby seats (and plastic spinners on their wheels). I’ve had an employee ask me to get her a raise because her husband can’t (won’t) get a job. I’ve had friends that dropped out of college to get married and “start a family”. I know all these examples are just that… bad examples, but I feel like I’m seeing more and more or these type of relationships. Obviously there are MANY happy couples out there who live the “perfect” life where there is sufficient income, family value and love. Their children would be well supported financially and emotionally. But as I look at the younger generation around me (while I’m in my very late 20’s) I’m starting to lose hope. They listen to junk they think is music, they watch reality TV shows that lack direction, whatever happened to shows that has a story, a show that taught young children lessons in life? These “kids” think visible body piercings and tattoos won’t ruin their job search and the only thing they know about a computer is how to go on social networks. I read over 400 resumes in the past two weeks trying to look for 2 new employees, interviewed about 20 of these people and maybe 3 of them will have a promising future in being human. The other 17 looked good one paper but definitely bent the truth just a little too much on the resume. The rest of the resumes are just a disgrace to the word resume. I can rant on and on about this, but it’s starting to get too long. I did not know this, until my RSS told me so…If you don’t know what RSS is, check out this site. All I have to say is that if it wasn’t for RSS, I would still be trying to remember the URLs for all the blogs, the news and publications I use daily. It’s a must have tool for people who read these things! As usual, their food was great, it’s not the best Ramen I’ve had, but it’s one of the better one’s within the area. Here are some pictures of their food. I will not be posting here for a while as I need to get some things in my life straightened out. My father recently (March 12, 2004) passed away. He was diagnosed with Lung Cancer a few years back. He was okay for a few years after and was then told that cancer cells were found in his liver and brain. After many months of Chemotheraphy and Radiation Therapy, his body lost the fight. I will forever miss him, he was a great man and mentor to me. I truly believe I’m a better character because of him. I love you always and forever dad. I’ll take care of mom.